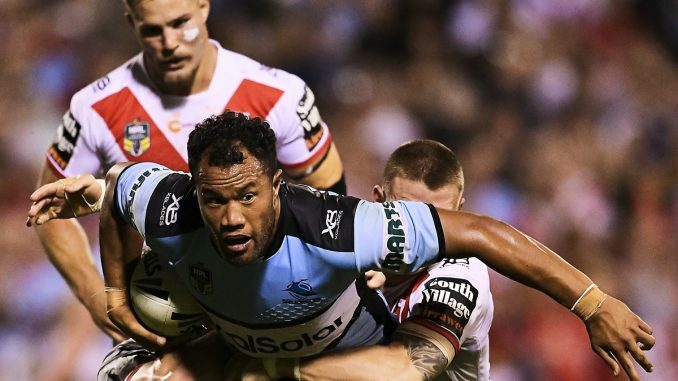 St Helens have signed back-rower Joseph Paulo from Cronulla Sharks on a three-year deal. Paulo, 30, has played internationally for Samoa and USA and will move to the Totally Wicked Stadium ahead of the 2019 season. He said: “The decision to leave the NRL and come over to the UK is one I am really excited about. It was a choice that was made easier too when I knew I was coming over to a great club like St. Helens. Paulo has made more than 100 appearances in the NRL for Cronulla, Penrith and Parramatta. He is Saints’ third signing for 2019, following Fiji captain Kevin Naiqama and York forward Joe Batchelor. Coach Justin Holbrook said: “I’ve watched Joseph for a number of years now and I admire how he plays the game.